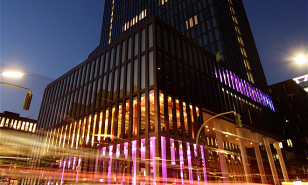 The conference dinner will take place in the ballroom of the Empire Riverside Hotel, Bernhard-Nocht-Str. 97, Hamburg, on Thursday, 18.09.14, 19-23.00 h. With its location in immediate vicinity to St. Pauli Landungsbrücken, you will be passing one of the most famous sights in Hamburg. Take the subway U-3 to stop “Landungsbrücken”. Take the side exit door “Helgoländer Allee”. Follow the stairs down and then up at “Willi-Bartels-Treppe”. At the top of the stairs, turn sharp left and follow the footpath (the river Elbe is on your left). You will arrive in front of the Empire Riverside Hotel (ca. 5 min). 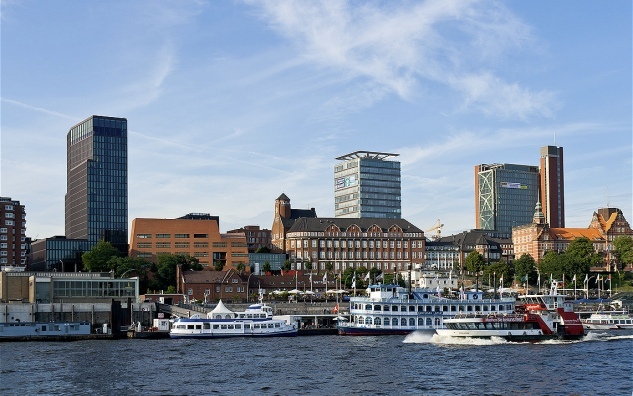 The location is not only known for its excellent food but also for an incredible view of the Elbe River and the port of Hamburg. 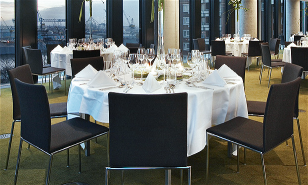 The ballroom is the heart of the hotel’s event level and has 6 metres-high glass front windows. At the conference dinner, you will experience an excellent view over the harbour and its docks while enjoying a delicious buffet. The Knowledge Technology group offers a lab tour at the Department of Informatics, University of Hamburg, to interested colleagues and students. The tour will be scaled on demand. For this it is necessary to sign up for the tour at the registration desk. We plan the tour for Friday afternoon, 19.09.2014, Informatics Building, Vogt-Kölln Straße 30, Hamburg.